So why am I blogging about this movie? Why because you will see me up on the big screen! I play the jogger with the dog, and I move the plot along with a sequence involving a note on a piece of paper. I don’t want to give the story away, but assuming my scenes are not edited out (which in this business is entirely possible! ), I should be up on the big screen clear as day! For my part in this movie, I had about three months on my life on hold for filming – though I was only on set for three days total! I worked with a movie dog (named Casey), and had to quickly bond with her and giver her commands for our actions on set. What amused me most was that Disney bought my entire wardrobe I brought to set the first day – a black long-sleeved Nike top, Victoria’s Secret purple yoga pants, and my Nike running shoes. The reason for buying the wardrobe was that in case we needed to re-shoot anything in the last year (we wrapped production in summer 2009), I would have my outfit in the same condition as the days I was on set. Another interesting fact is that my first day (in March 2009) it was FREEZING outside on set, and I was in pain from being so cold. On my last day of filming (middle of June 2009), it was so hot in my long sleeves and pants that I was sweating bullets. 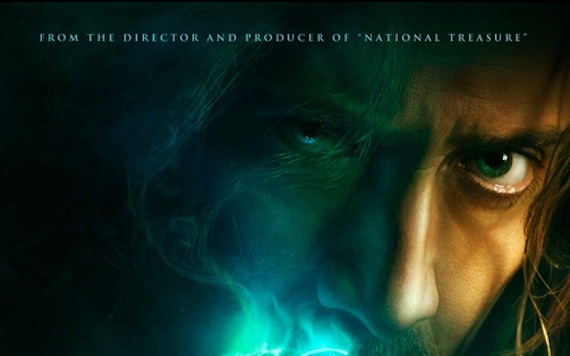 I fully plan on checking out “Sorcerer’s Apprentice” tonight in theaters – assuming I’m no longer on set. I am writing this blog from the “White Collar” set! I am crossing fingers my scene wasn’t edited out, as having a part in a major Disney movie for my reel would be fantastic! ~ by Elizabeth on July 14, 2010.